Tim Berners-Lee, the inventor of the world wide web, has said that social networking sites such as Facebook are guilty of limiting the potential openness of the web. Tim Berners-Lee outlined his concerns in a piece in the Scientific American journal, entitled Long Live the Web: A Call for Continued Open Standards and Neutrality. 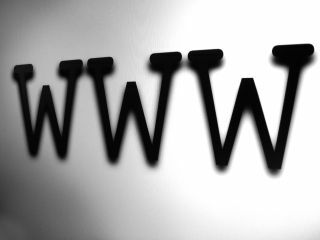 "The web evolved into a powerful, ubiquitous tool because it was built on egalitarian principles and because thousands of individuals, universities and companies have worked, both independently and together as part of the World Wide Web Consortium, to expand its capabilities based on those principles," said Berners-Lee in an impassioned call for openness online. Saying that, Berners-Lee is also increasingly concerned that the open and democratic nature of the web was under threat by some of its more recent and "most successful inhabitants" such as Facebook, LinkedIn and Friendster. "Facebook, LinkedIn, Friendster and others typically provide value by capturing information as you enter it: your birthday, your e-mail address, your likes, and links indicating who is friends with whom and who is in which photograph," said the web pioneer. "The sites assemble these bits of data into brilliant databases and reuse the information to provide value-added service - but only within their sites. Once you enter your data into one of these services, you cannot easily use them on another site. "Each site is a silo, walled off from the others. Yes, your site's pages are on the web, but your data are not. You can access a web page about a list of people you have created in one site, but you cannot send that list, or items from it, to another site." "Cable television companies that sell internet connectivity are considering whether to limit their internet users to downloading only the company's mix of entertainment."